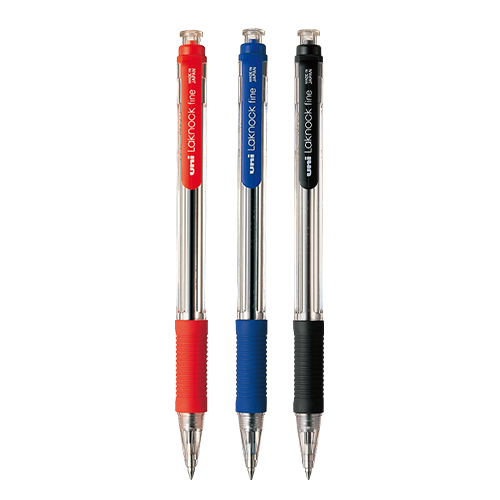 The UNI Laknock is a practical and economical retractable ballpoint pen. Has a soft rubber grip for fatigue-free writing and user comfort. A 0.7mm ball allows for a smoother & more consistent writing experience. Colors: Black, Blue and Red.